When a particular region starts pumping out top notch fighters—in any discipline—people start asking what’s in the water. Fighting traditions and DNA play a role, for sure, as does the general environment, but when looking at areas that suddenly have several fighters competing at a high level in mixed martial arts, along with wrestling champs and BJJ studs, maybe a couple of boxers, then you have to look at two things: the local infrastructure and the one break out star who made it all possible. In Dagestan, the breakout guy was Khabib Nurmagomedov and the local infrastructure was the Sambo circuit. After he made it out of the Russian Federation and started fighting internationally, all of the tough mountain brawlers who were already training some sort of Sambo had a goal and path to follow. In China, that breakout guy was a Mongolian wrestler named Zhang Tueqian, and the infrastructure was (and still is) the massive Sanda circuit. Before he made it to the UFC, nobody in China had even heard of MMA, let alone trained mixed martial arts in a meaningful way. Now there are gyms all over the place, and the Mongolians who grew up rough in concrete jungles on the cold plains of the north suddenly saw a path that led to international fame. Zhang Lipeng, who fought Chris Wade in at UFC Boston, is one of those Mongolians. He lost to Chris Wade, who himself comes from a region with a breakout star, a rough environment, and also the grassroots infrastructure required to make MMA a viable path out for otherwise indolent tough guys. We took a quick look at Chris Wade and the martial arts scene in Long Island a couple weeks ago, and Chris mentioned that Al Iaquinta, also from Long Island “was a beast” and would be fighting on the UFC 183 card. Iaquinta overwhelmed Joe Lauzon the other night, forcing a lot of people to call out “Mercy!” like it was William Wallace’s last moments. 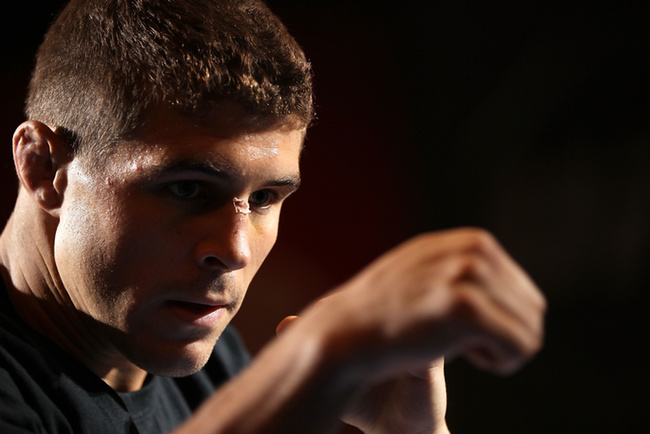 Iaquinta trains in one of the premier fight camps on the East Coast, Team Serra-Longo. This is the team that put Long Island on the map. Serra is the pioneer who held a UFC belt, earned a black belt from Renzo Gracie, and fought wars with GSP. Ray Longo is a legendary striking coach who hails from Long Island; he is Weidman’s longtime coach and has partnered with Serra for years. Team Serra-Longo helped Chris Weidman win the belt from Anderson Silva, helped Iaquinta get on TUF 15, and they’re still bringing up Long Island and NY-based fighters and training them into UFC fighters. Iaquinta is one of the latest. After losing to Michael Chiesa in the TUF finale, Iaquinta has gone on an impressive run, winning five out of his last six, including TKOs against Ross Pearson and Lauzon. Gian Villante is out of the Serra-Longo Camp and Costas Philloppou also trained there for a while before moving to another Long Island-based gym, the Bellmore Kickboxing Academy. Chris Wade’s gym, Long Island MMA, is also a stacked gym (Coach Gregg DiPasquale, and three UFC fighters: Ryan LaFlare, Dennis Bermudez and Wade), and the teams often cross-train. Everyone knows everyone on this island, and most of the fighters training now went to the same high schools (Islip for example) or the same universities (Hofstra comes to mind). There are a dozen or more fighters coming in and out the area, because the wrestlers and tough guys have always existed—there are stories all over the island about the brothers, sisters, friends, and grandfathers of some of these competitors. 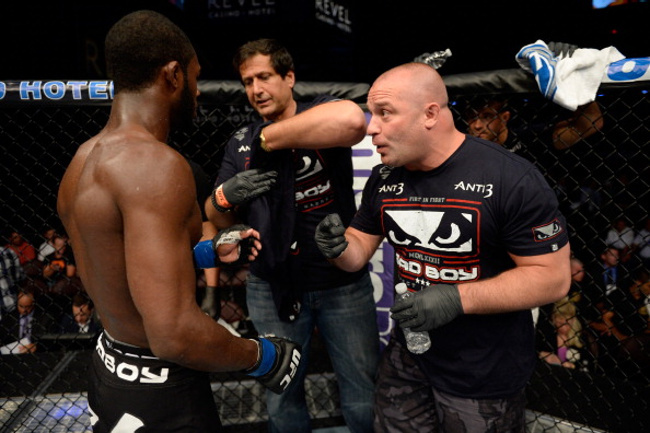 All it took was one man (Matt Serra in this case) to pave the way and show everyone else that there is life after high school and collegiate excellence in martial arts. It’s as if an entire ocean of local competitors threw Matt Serra out onto the shore, and then he dragged the ocean onto land with him. Once the fighters start making it, specialized gyms and fight camps follow, and then you have the capacity to support regular events, like the Cage Fury Fighting Championships, the New York Fight Exchange, and Long Island-based MMA Platinum Gloves. The more events you can put on, the more fighters you attract, the more gyms open up, and suddenly kids who went to wrestling class because their brothers did it, are going to wrestling/BJJ/Muay Thai classes because Al Iaquinta did it. At some point come the tertiary businesses, like the East Coast MMA Fight Shop where fighters purchase and compare gear. A whole industry rises up out of the community and suddenly people are talking about “Long Island” fighters coming up. Truth is, they’ve been there for years.